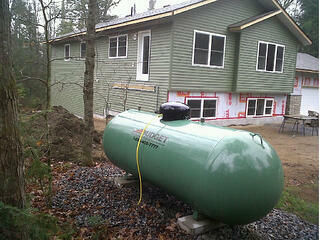 Budget Propane has been supplying propane throughout central Ontario for decades. Although we have a number of licensed gas technicians on staff, our primary focus is the delivery and installation of high pressure gas lines and propane tanks. We run high pressure lines to buildings and install regulators at the tank and at the gas stub location. We also complete a final gas inspection of all gas fired equipment. 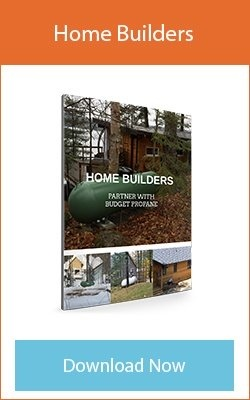 We would like to work with you and your home building or construction company, as a preferred partner, providing you with propane services for new home construction or renovations. We have solutions for construction heat and we can consult with you and your client to design the best propane heating system for their needs. Whether it's a large estate home, remote cottage, or other residential or commercial property we are experienced and knowledgeable about installing propane systems. Propane is quickly becoming the energy of choice for heating homes and commercial spaces, especially in rural areas. A cousin of Natural Gas, Propane offers a number of benefits that will work for you, your company and your clients. It's Clean - Propane is clean burning, efficient, safe and affordable. Unlike with fuel oil, there are no environmental concerns with propane. There are no insurance premium increases or mandated oil tank replacement cycles. It's Affordable - When compared to electricity, propane will cost around half as much to heat your home with. It's Versitile - Propane is also one of the most versatile energy sources available. Generator and BBQ connections to the main propane supply line are becoming more and more popular. Budget Propane is a family owned business that prides itself on excellent service and customer satisfaction. We offer a full range of professional propane services to meet your needs during new construction projects or the switching over of existing heating services. Whether you opt for a torpedo style or upright tank, to fit your job site requirements, our expert technicians ensure your project is completed to TSSA code, safely and on time. We are committed to delivering the very best service to you and your clients. No job too big or too small! We offer a full range of professional propane services to meet your needs during new construction projects or the conversion of oil/eletricity to propane. For more information, contact us today. We would be happy to answer any of your questions and provide a quote.